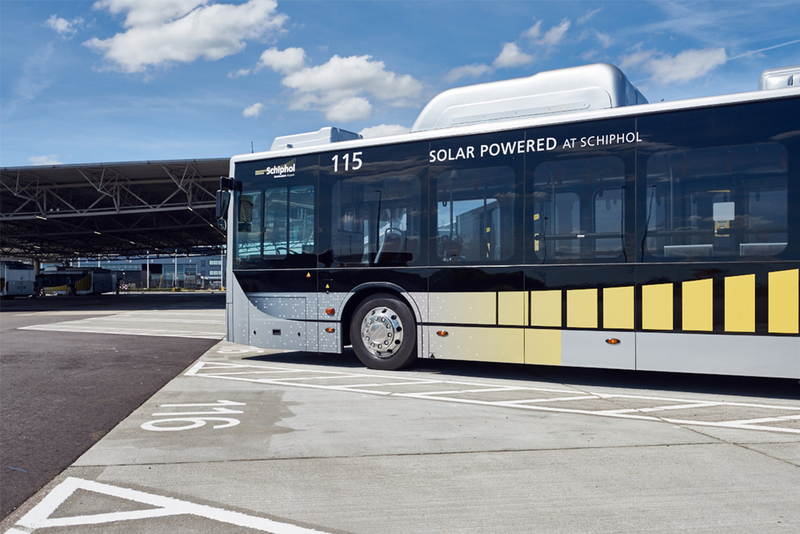 The assignment for studio Modijefsky was to design an Eco-chic bus for Schiphol airport, the first airport to have electric buses. A great deal of research went into sustainable material with a feel of comfort and luxury, to give the users a good experience while traveling. Working alongside BYD, a listed company on Hong Kong and Shenzhen Stock Exchange, the interior design of the bus was taken a step further. Curved stainless steel poles with a fine soft finish have replaced the rigid handles and a cohesive design language is used for all the elements in the interior. Leather backs compliment the sustainable fabric used for the bus seats. Soft tones such as natural colour leather and silver anthracite fabric create a relaxing space with a feel of richness. 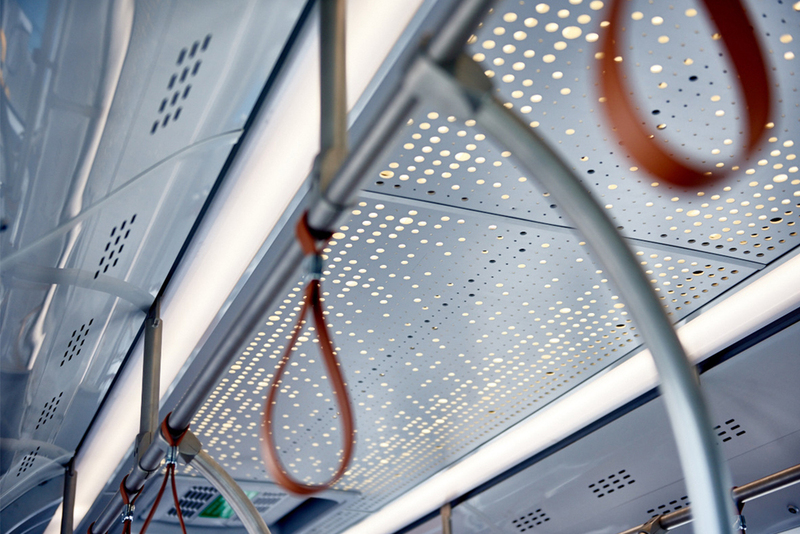 A perforated aluminum ceiling hides the bus lamps and filters the light coming through. The same dotted pattern reappears on the back wall of the bus in a classic blue colour; it creates a calm and relaxed atmosphere. In addition to creating a desirable interior for the bus, Studio modijefsky has created a graphic identity for the buses with bright yellow strokes on the exterior. 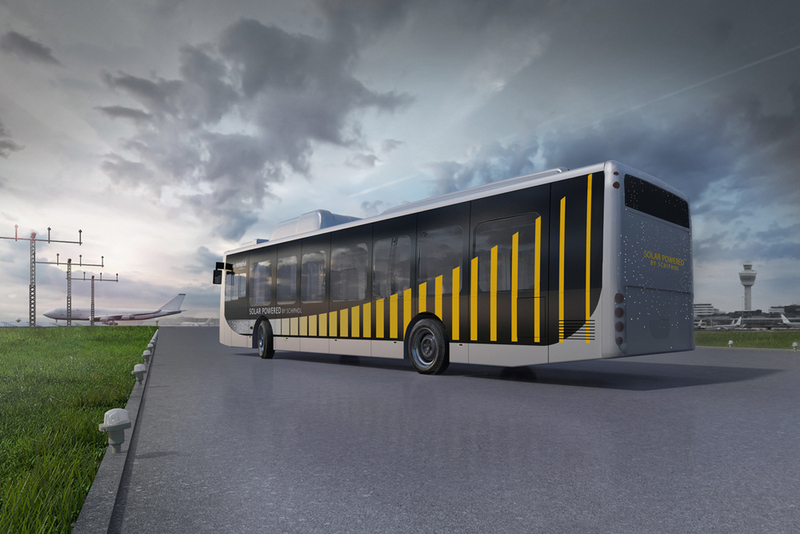 Assignment: interior design for the new electric Airside Bus, and a graphic design for the exterior of the bus.